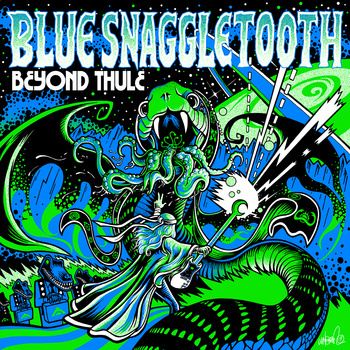 Let’s start another week with the hard rocking 2nd LP “Beyond Thule” from Blue Snaggletooth, a four-piece coming from Ann Arbor, MI. Blasting high-powered Heavy Rock, it’s worth a listen ! What I’m sure of is Blue Snaggletooth must be a killer band to see live ! The different riffs strings together quite well and are very powerful to hook you in and is very suitable to a crazy headbanging session. Vocals are also melodious enough to appreciate them, particularly during the choruses. And finally a special mention to the lead guitar for its awesome work, good feeling here !